Congratulations to our Winner Cheryl who has worked out the four celebrities sitting at our Captains Table and the connection between them. Cheryl will be staying in a balcony suite on board the NCL Epic stopping at Barcelona, Naples, Pompeii, Rome, Florence, Pisa and Marseille with flights from Scotland. Sitting at the Captain's Table with Tom Hanks was Ronnie Corbett, Mila Kunis, Christopher Walken & Robert Downey Jr. 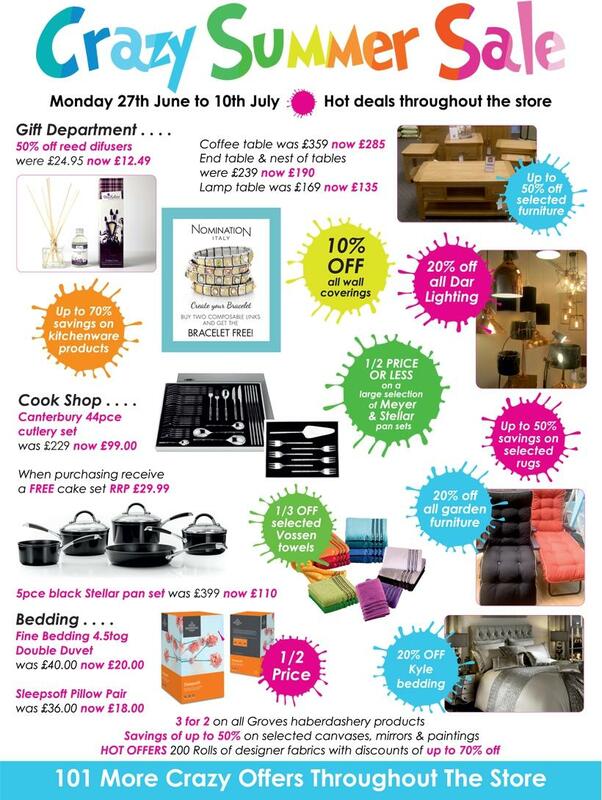 Check out The Rejects Crazy Summer Sale from June 27th to 10th July, where there are huge savings across all departments, including Jewellery, Gifts, Towels and Garden Furniture.